Happy with my purchase, very comfortable hooks. Bought the set @ $60.28 during promo with cart discount. Just that delivery took almost 2 weeks to arrive. Seller included a thk you note & a free folded origami bookmark, very thoughtful. Received package in good order. Haven't used it yet. Hi seller, delivery charge qprime shown as $2 but after i checked out actual was charged for $3.99, why? Please ask Qoo10 customer service. 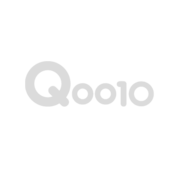 Because Qprime is a Qoo10's original system and shipping method. Qoo10 charge you the shiipping fee. Therefore i have no idea about these shipping fee. Thks seller, i will check with q10.